← Re-Growing Kitchen Scraps: My Frugal Garden! #CDNmoney Twitter Chat on Frugal Gardening! Tues April 8th! CommonCentsMom Hollie Pollard and Save-at-Home-Mom Christa Clips have this whole frugal gardening thing down pat! Turns out all you need is water! Join co-hosts @CommonCentsMom and @ChristaClips for this week’s #CDNmoney twitter chat on Frugal Gardening! Hollie has shared some great ideas about how to save money on your garden in her blog post 5 Tips to Starting a Frugal Garden and I’ve been busy all day watching my celery and leeks grow! You can see pictoral proof of my efforts in my blog post Re-growing Garden Scraps: My Frugal Garden! Join us to share your tips & tricks for saving money on your garden, and learn about how just how much money your frugally minded tweeps save by exercising their green thumbs! 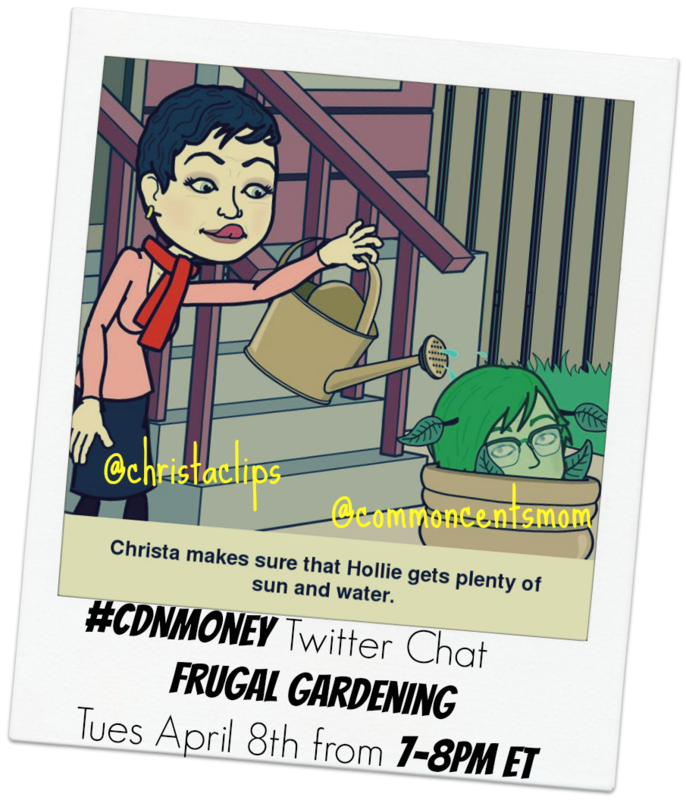 Posted on April 8, 2014, in #cdnmoney Twitter Chat, Christa Clips, Common Cents Mom and tagged #cdnmoney Twitter Chat, Christa Clips, CommonCentsMom, Frugal Gardening. Bookmark the permalink. Leave a comment.